The Qualcomm Adreno 540 is an integrated graphics card in the Qualcomm Snapdragon 835 SoC for smartphones. It was introduced in early 2017 and can be found in high-end Android smartphones. The integrated GPU is based on the optimized architecture of the Adreno 530, but features clearly improved clock speeds (710 versus 624 MHz according to Anandtech) and better thermal stability. This is also thanks to the new 10 nm process the Snapdragon 835 is produced in. 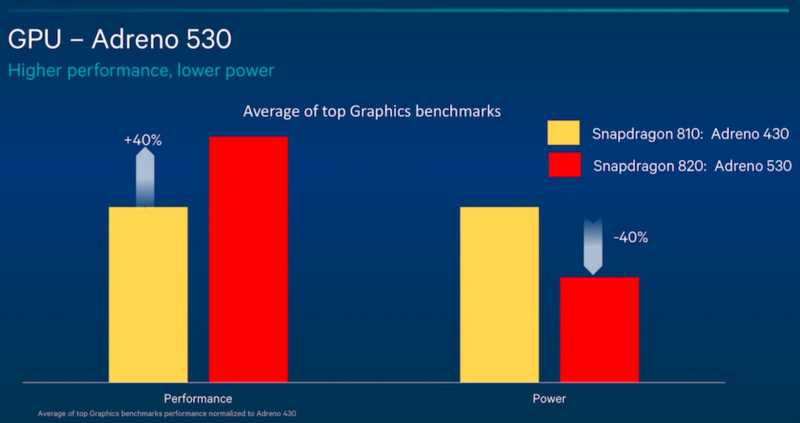 In the reference smartphone from Qualcomm, the Adreno 540 is able to beat or perform at a similar level as the fastest smartphone graphics cards on the market (e.g. the ARM Mali-T880MP12, ARM Mali-G71MP8 or Apple A10 GPU). Therefore, it should be perfectly suited for demanding 3D gaming and also mobile VR and 4K displays.